Specialising in providing mobile coffee carts for corporate events, 92 Degree Espresso is your trusted partner that can ensure your coffee catering is flowing smoothly. 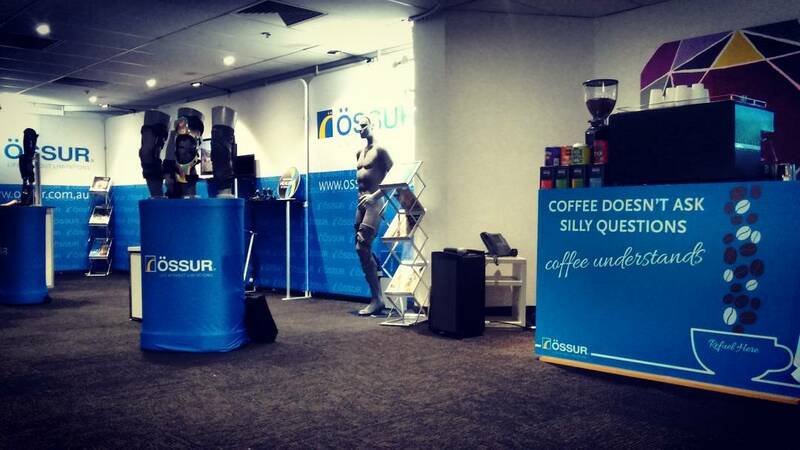 If it’s down to you to organise a successful networking event, seminar, trade show or need a coffee cart for Melbourne conferences, relieve the stress in the best way we know how in Melbourne; with great coffee! Your reputation is important. That’s why we go above and beyond to ensure that, when you book corporate barista hire with us, your visitors leave with the best possible taste in their mouths. Our baristas are highly-skilled and are artists in their trade. They’ll represent you in a professional, friendly manner and with a smile on their faces. No other corporate barista hire company in Melbourne offers the flexibility that we do – that’s why our customers hire us over and over again. Every event is different and our experience in the sector means we’re able to offer ways to make the entire process simpler. If you have any special requests or need to modify our services based on the size of your event, we can cater to that. We’re skilled in handling unique enquiries and can customise your package based on your budget and requirements. Why Choose 92 Degree Espresso? Since brewing our first corporate coffee cart in 2012, our business has revolved around customer satisfaction. The preference between creamy lattes and strong espressos is subjective; quality service isn’t. We cover coffee cart hire for corporate events all across Melbourne and can cover anywhere within reach of the greater Melbourne metropolitan area. If you need us to travel further, just let us know, and we can discuss your requirements. Able to provide fast responses and quick quotes, we’ll get you well on your way to the best coffee cart for your office or corporate event, even when you’re short on time. Feel free to fill in our online form or give the team a call on 0468 365 201. We can’t wait to help you plan your event to perfection!